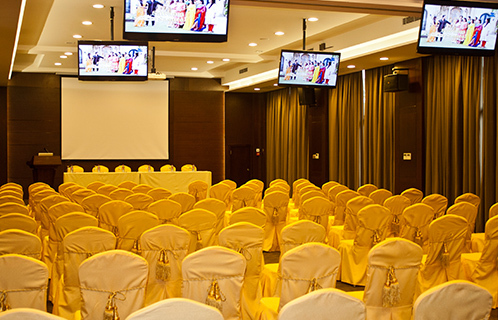 We have a few different sized meeting rooms and conference rooms each equipped with the latest technology for Audio and Video along with wireless internet. We offer the full experience from catering, to snacks, beverages, meeting planning, event planning, banquette and ball planning. Our professional staff will work out the details with you and let you sit back and take care of your work while we take care of your meeting and attendees. We will tailor the right package to fit your needs with amenities and rooms if needed also.